Baton Rouge Pregnancy/Infant Loss Support Group meets on the 1st and 3rd Wednesday of each month from 7 pm - 9 pm at the Woman’s Center for Wellness. Sessions are free and adult family members and friends are welcome. For more information, call Woman’s Hospital Social Services at 225-924-8456. Baton Rouge Pregnancy & Infant Loss Support is a group where members can receive local support in the Facebook community. Threads of Love is an outreach sewing ministry that strives to provides clothing, blankets, and other handmade articles for tiny premature and sick infants. Sarah’s Laughter exists to provide local support for those struggling with infertility or the death of a baby. Paracletia’s Azalea Gardens is a place to remember a baby lost during the first twenty weeks of pregnancy. Ainsley's Angels supports families who have suffered a late term pregnancy infant loss by sending grief baskets & financially assisting with burials. www.october15th.com is the official site of Pregnancy and Infant Loss Rememberance Day. www.babyloss.com provides information and support online for anyone affected by the death of a baby during pregnancy, at birth, or shortly afterwards. pregnancyloss.info has facts about miscarriage ranging from causes, to prevention, to when to try again for a new pregnancy. 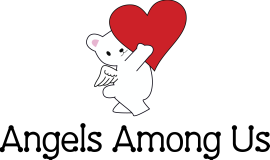 EriChad Grief Support is an online home of loving support for bereaved parents. They have a calendarto help ease the bereaved parent through the holidays.